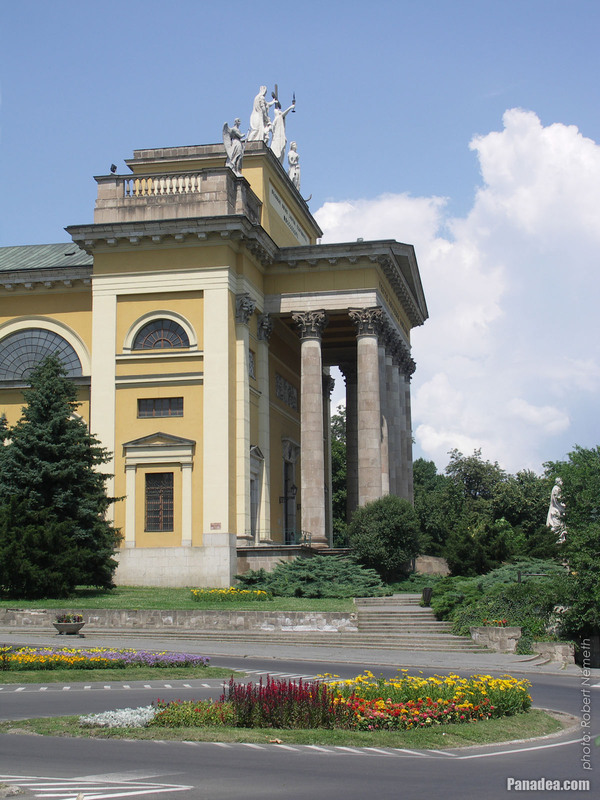 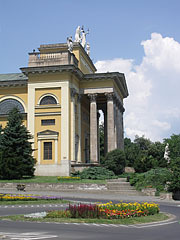 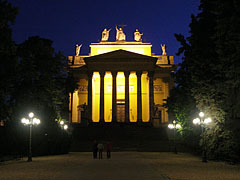 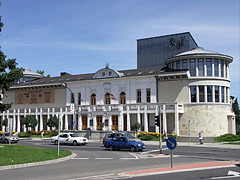 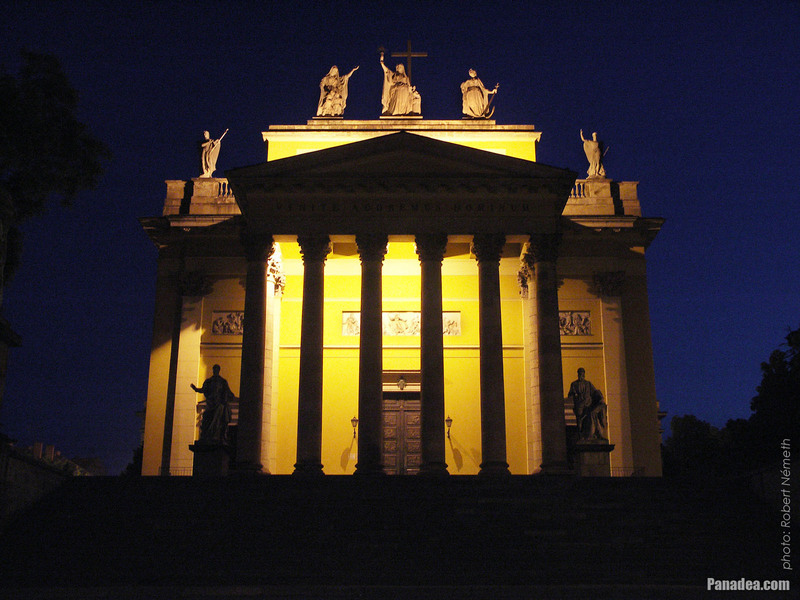 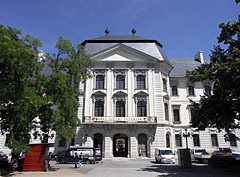 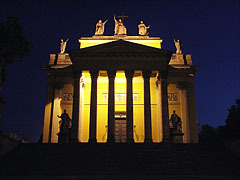 It was built between 1761-1782, architects: Josef Ignaz Gerl, Jakab Fellner and József Grossmann. 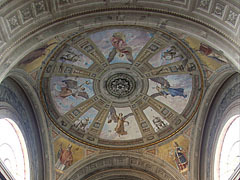 The wall paintings were folly completed only in 1950. 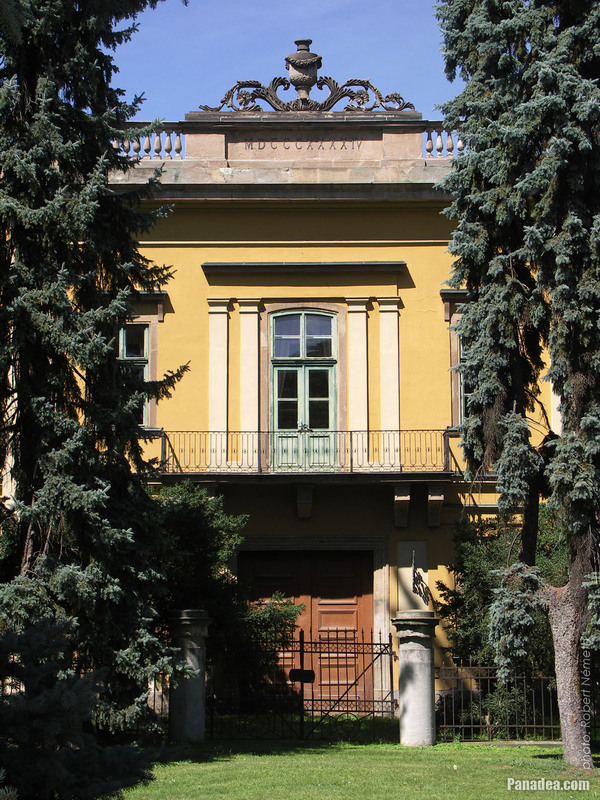 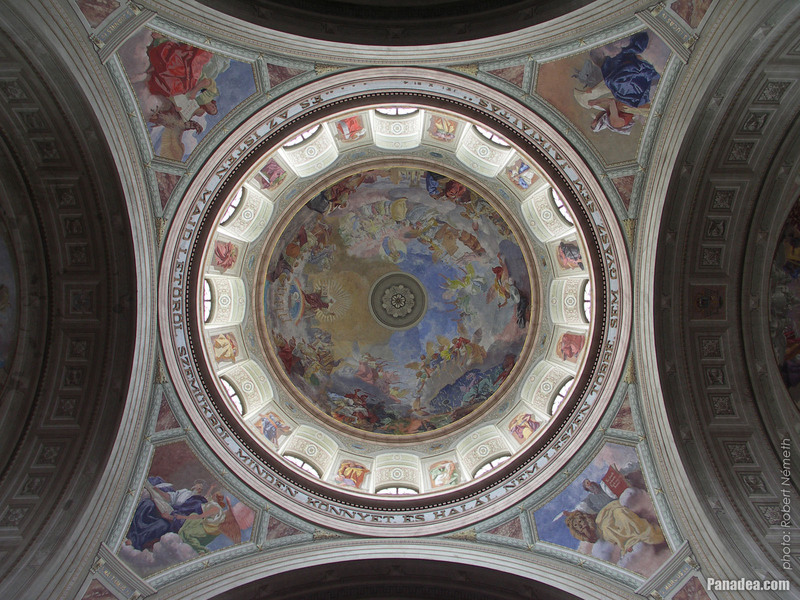 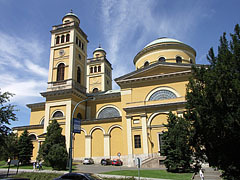 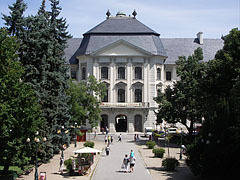 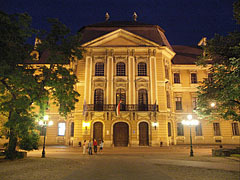 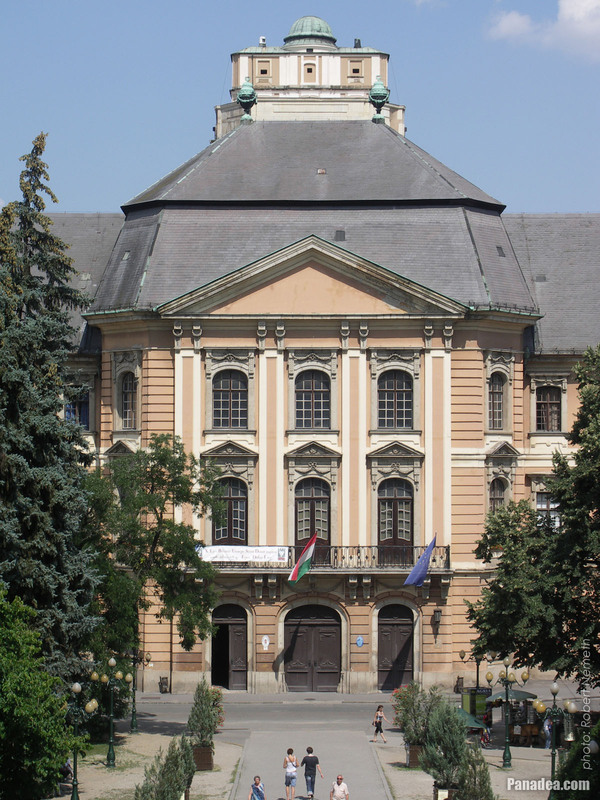 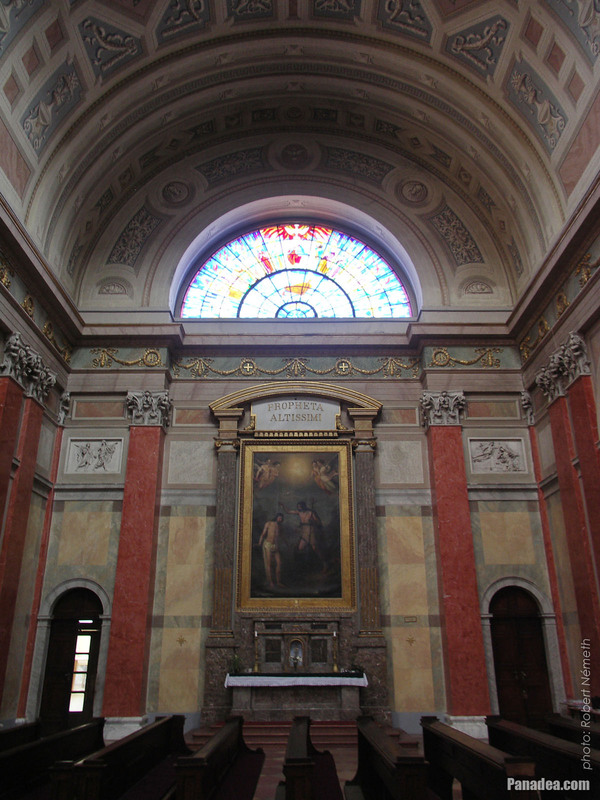 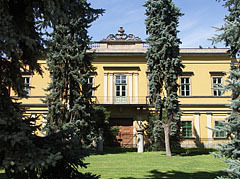 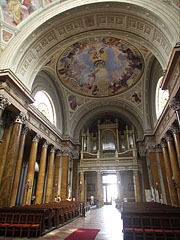 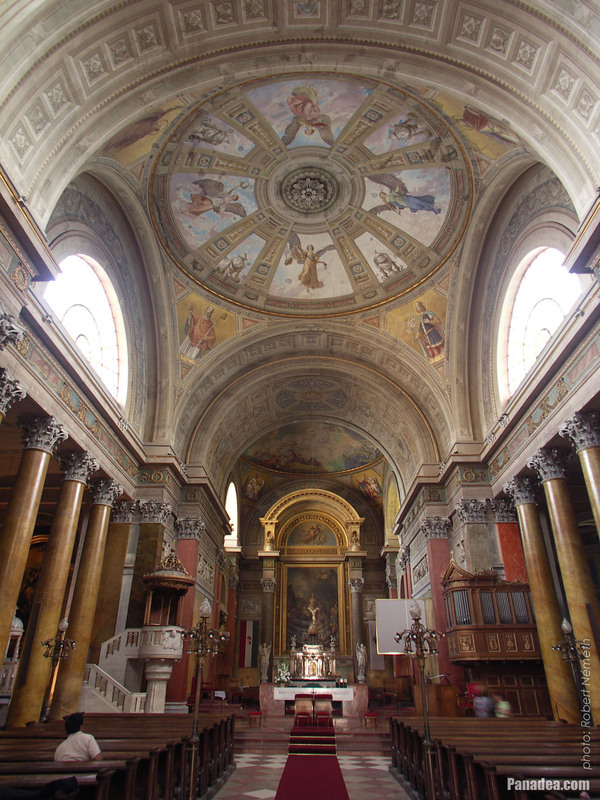 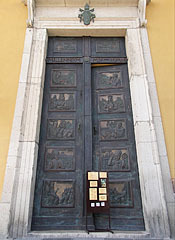 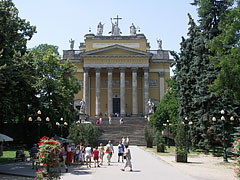 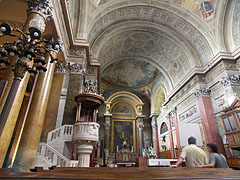 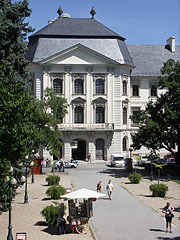 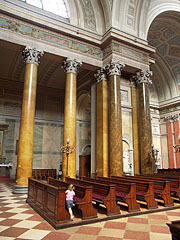 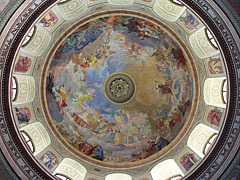 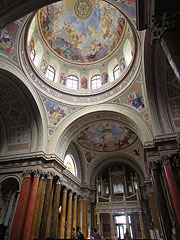 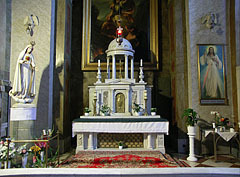 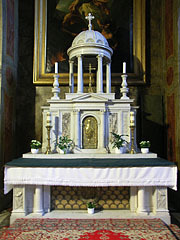 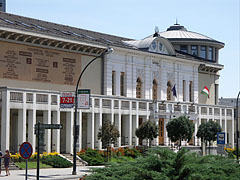 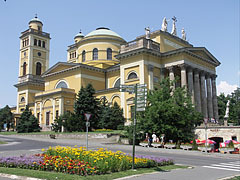 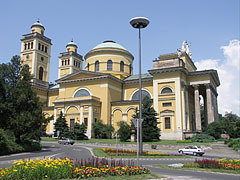 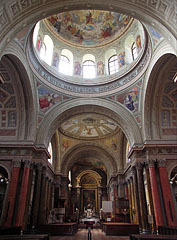 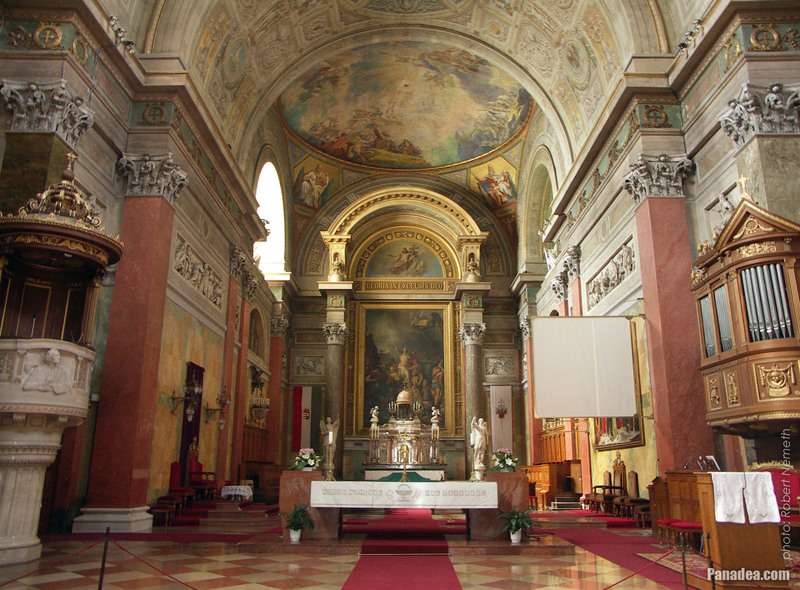 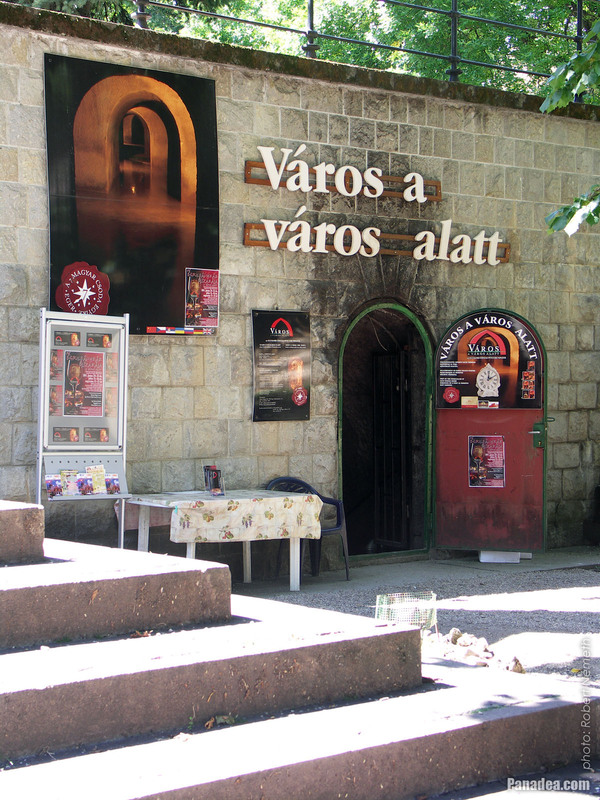 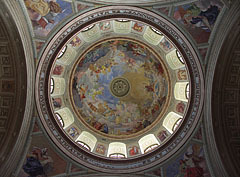 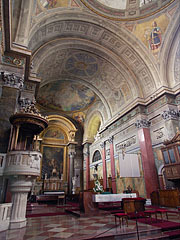 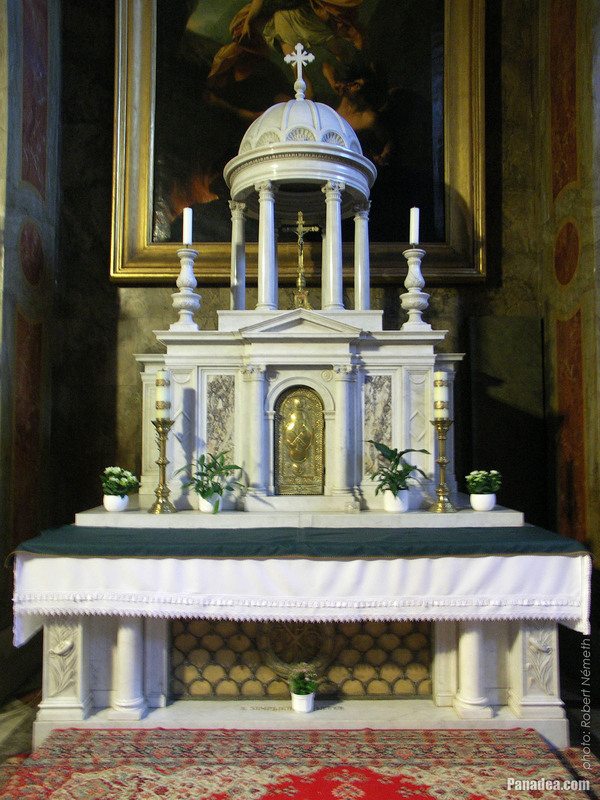 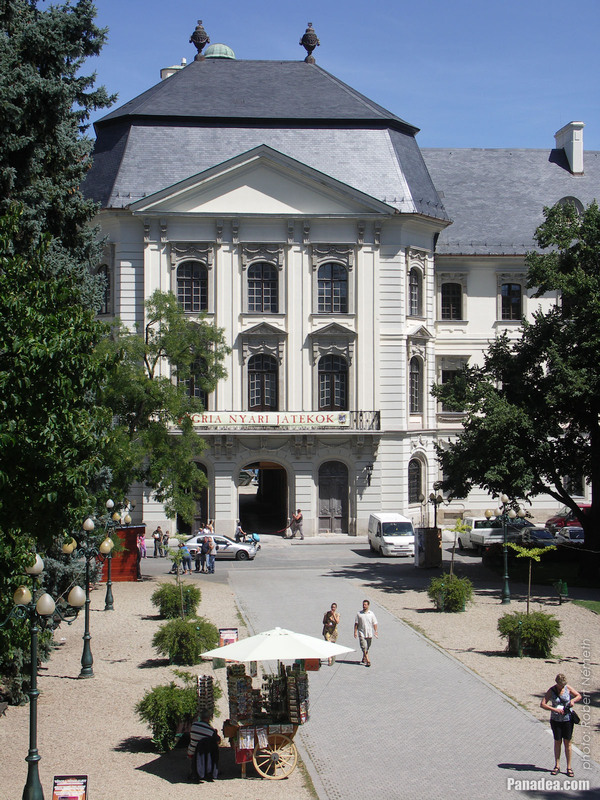 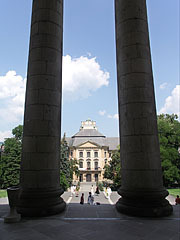 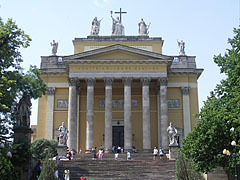 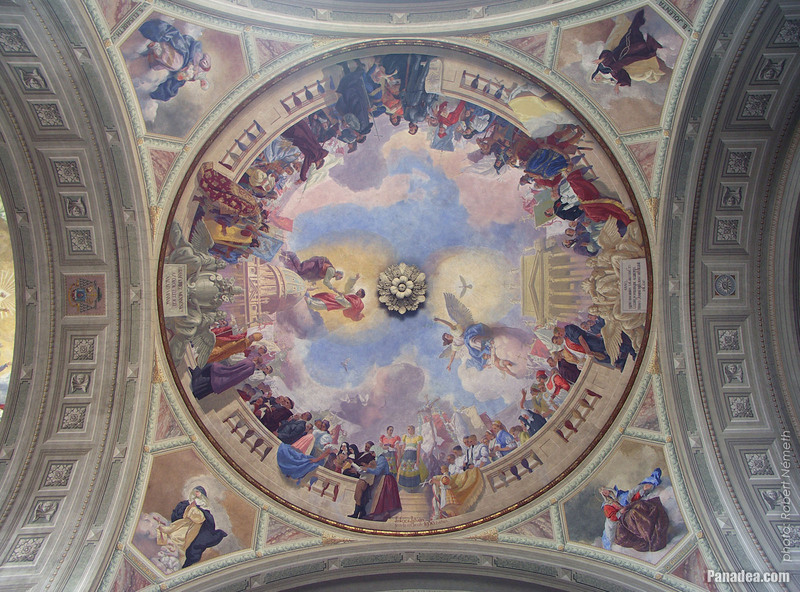 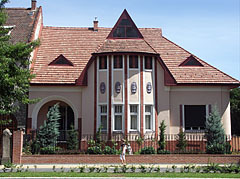 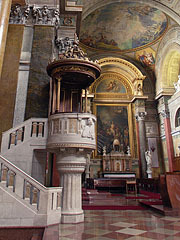 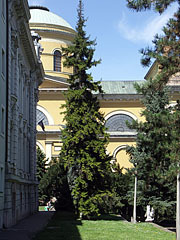 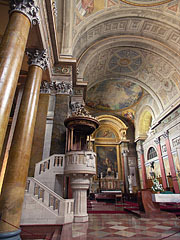 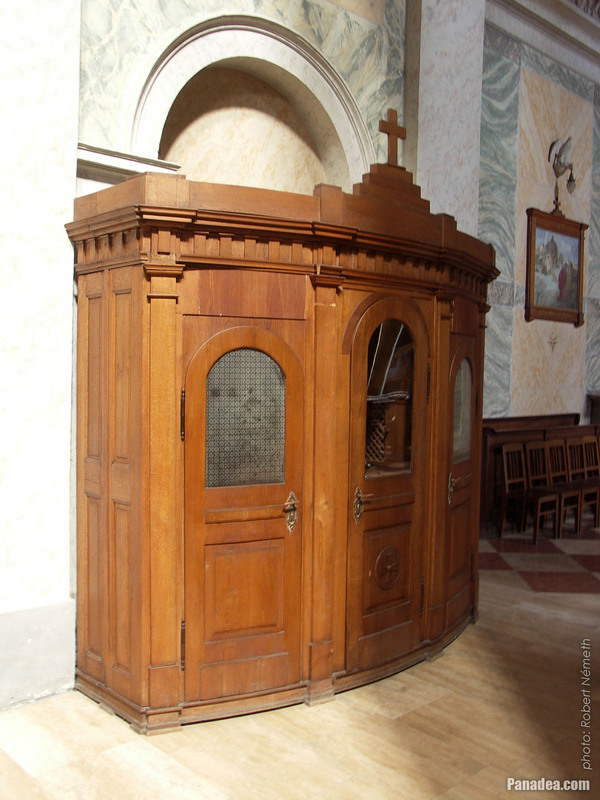 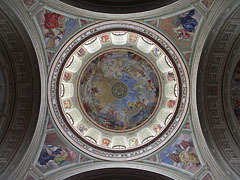 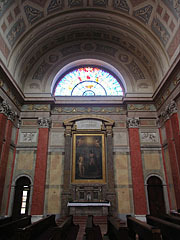 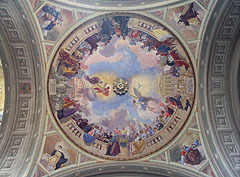 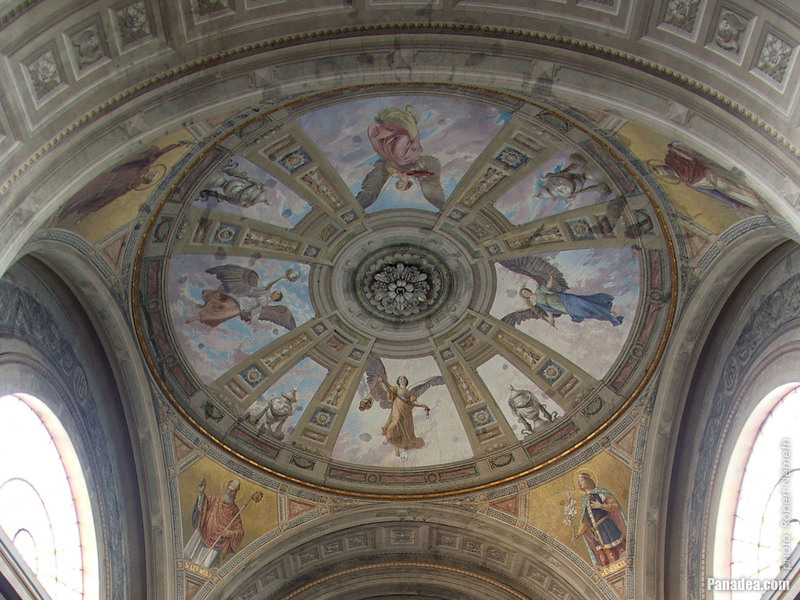 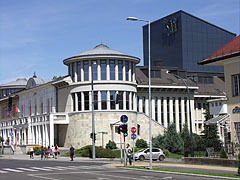 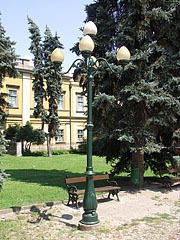 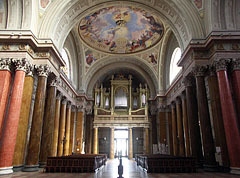 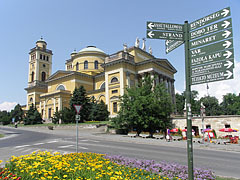 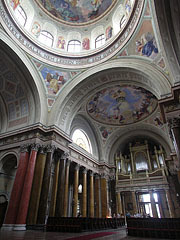 It was built in 1844, on the request of archbishop János László Pyrker. 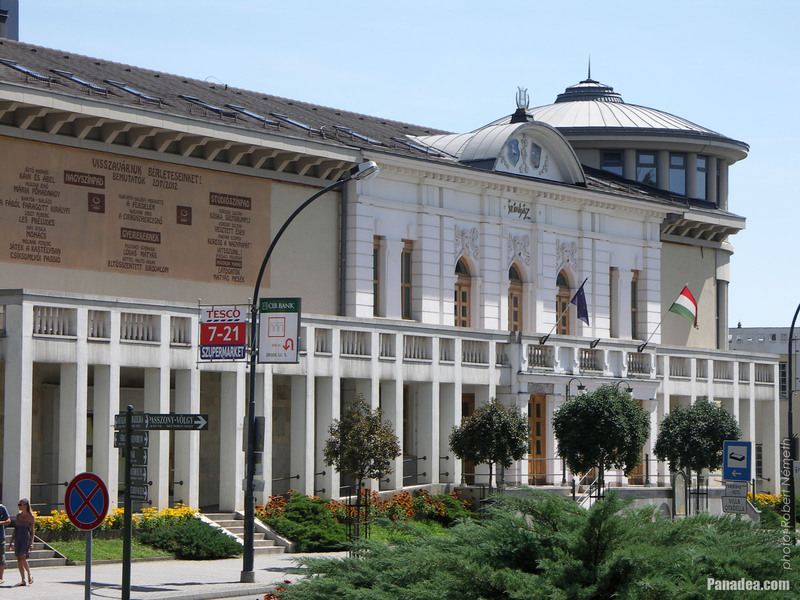 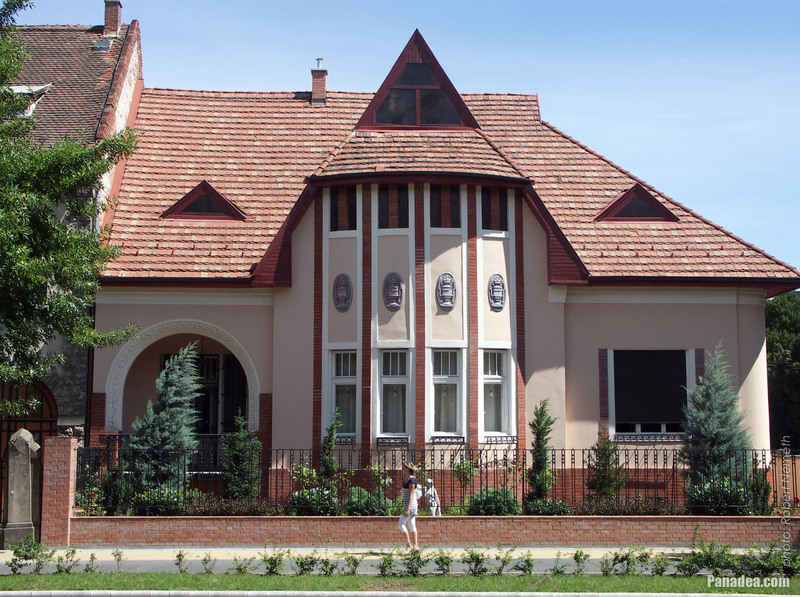 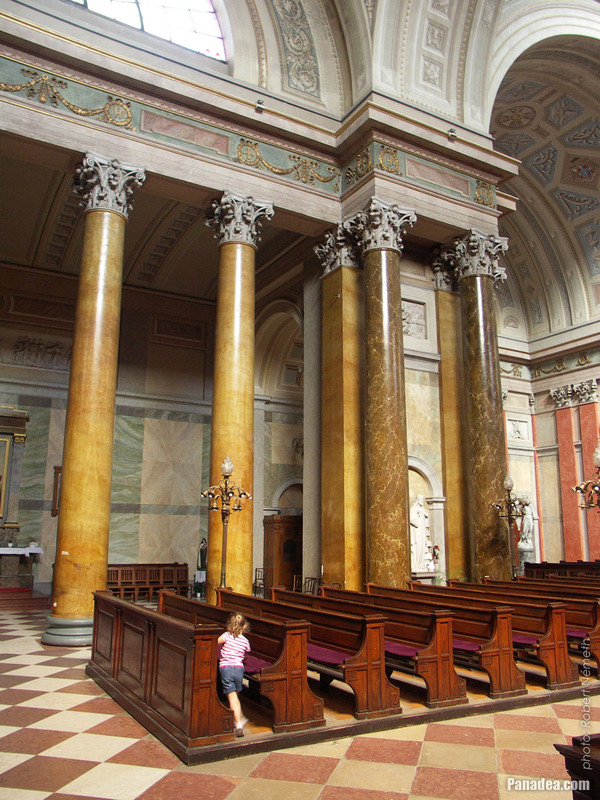 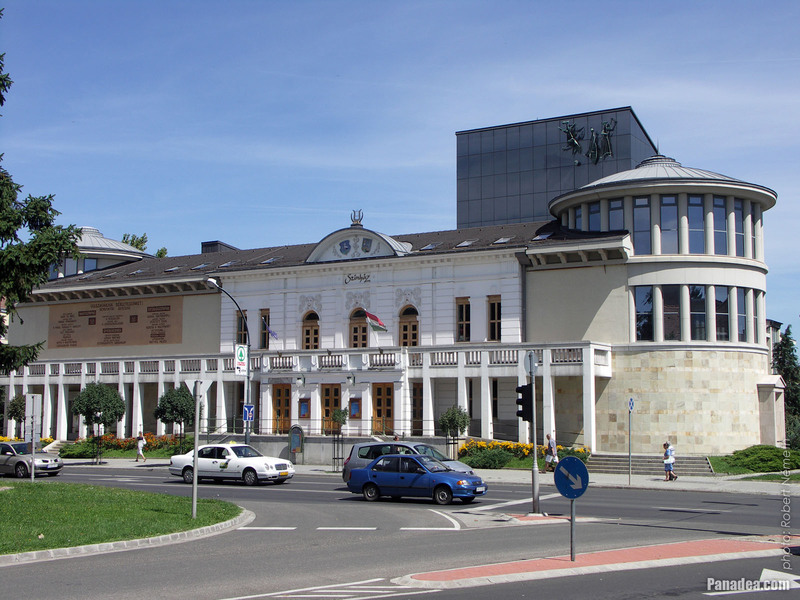 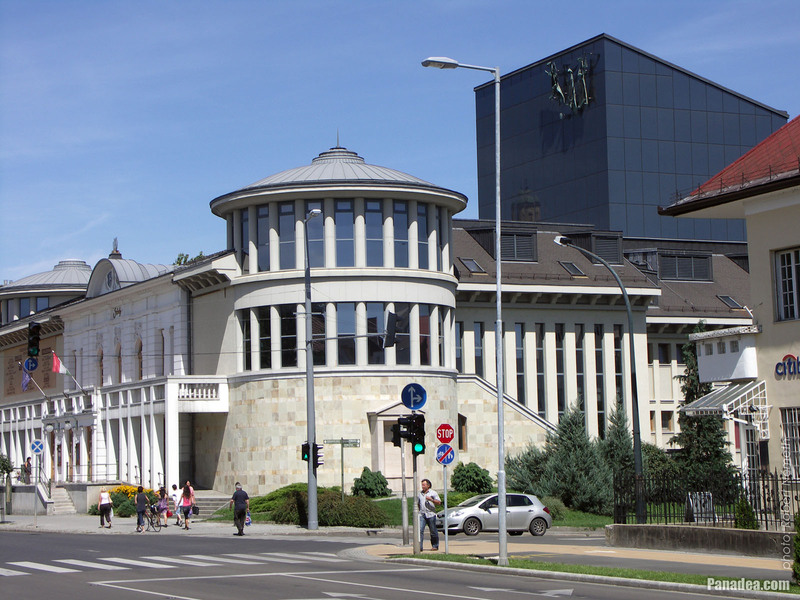 Built between 1831-1836 by the plans of architect József Hild, but the interior was totally completed only in 1950. Created by Marco Casagrande Italian sculptor in 1836. 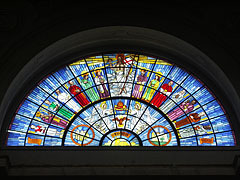 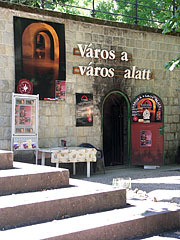 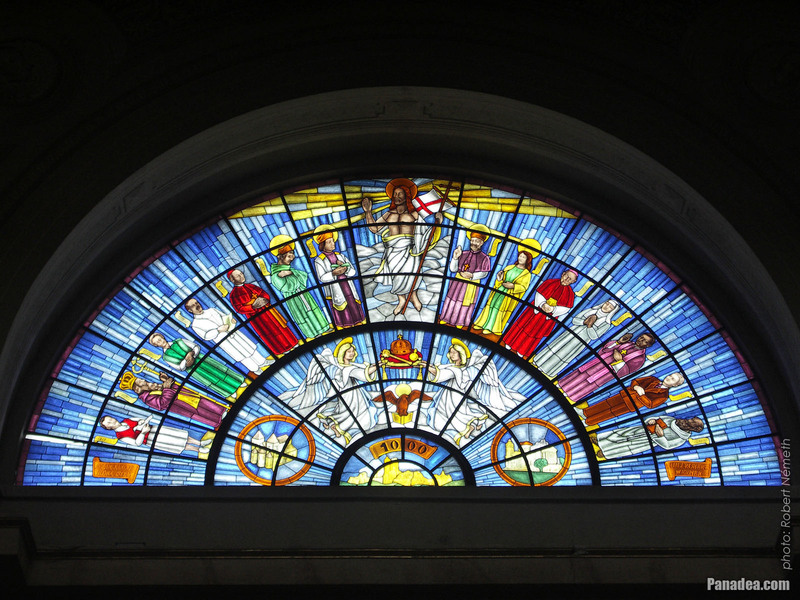 Created by glass artist Erzsébet L. Szabó in 2000. 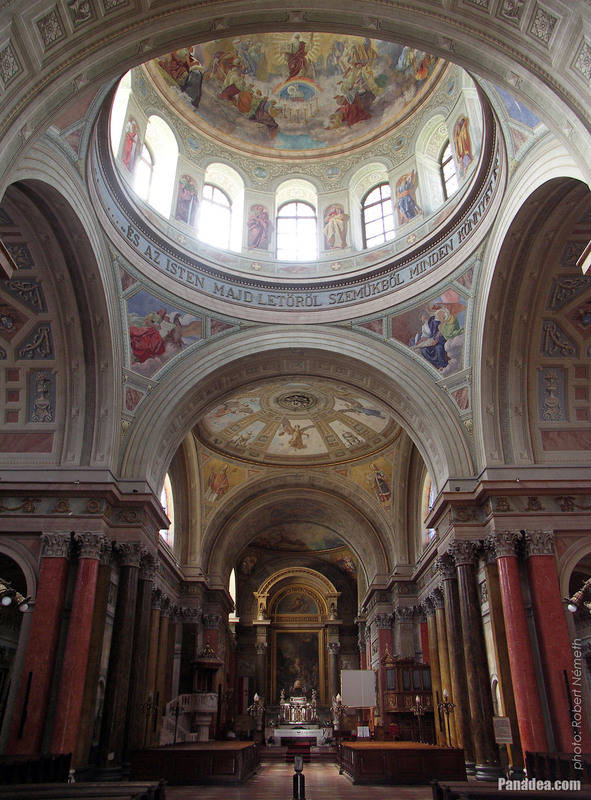 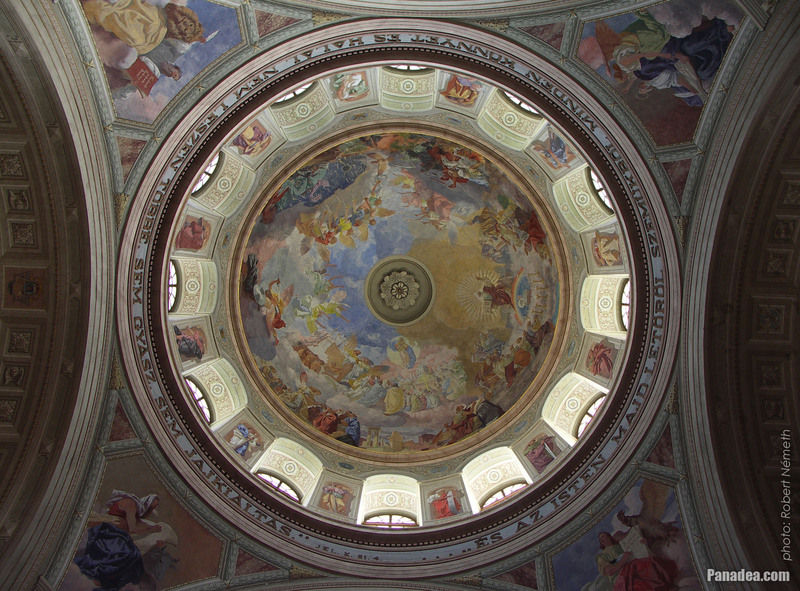 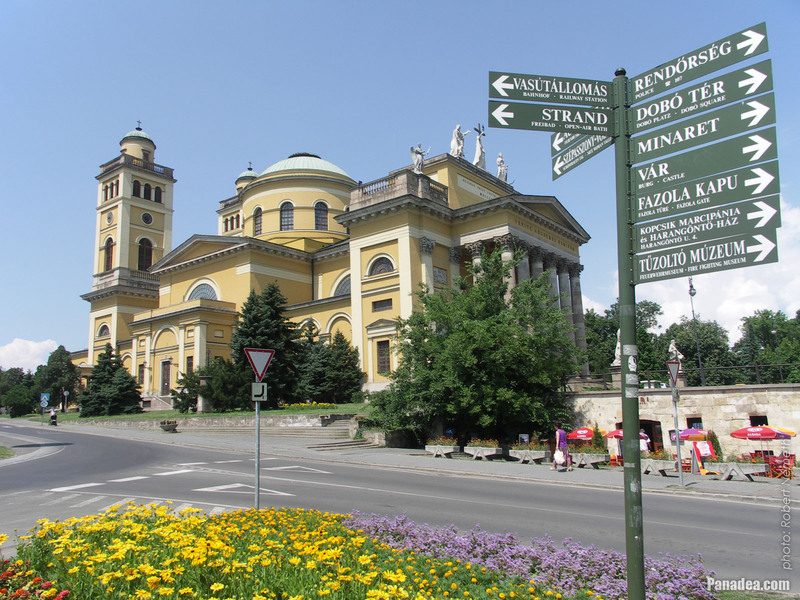 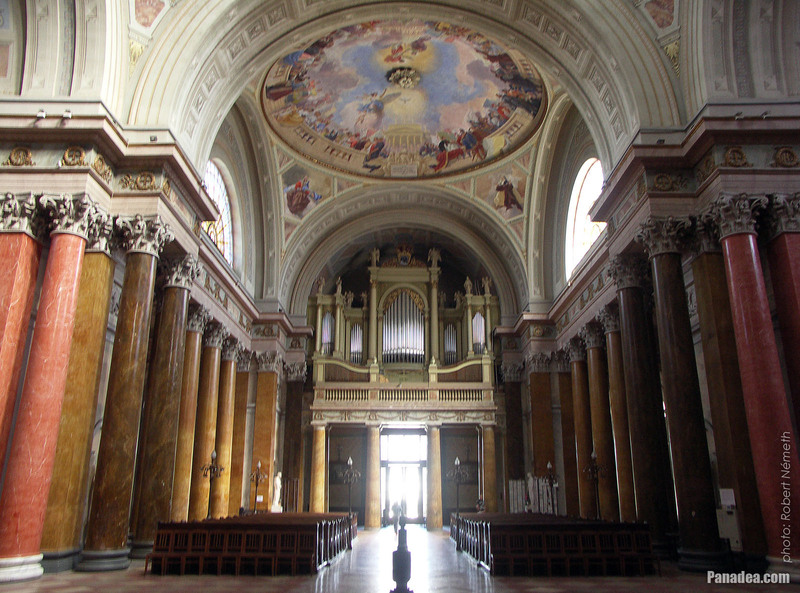 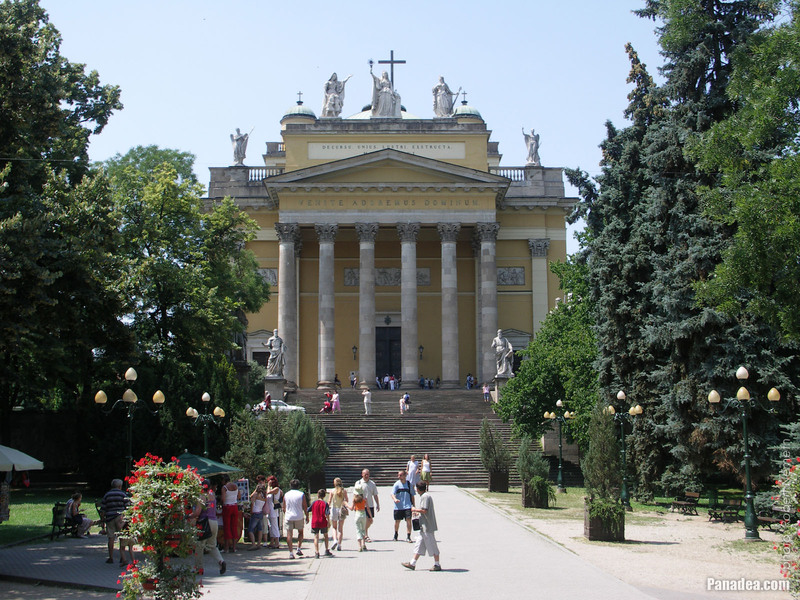 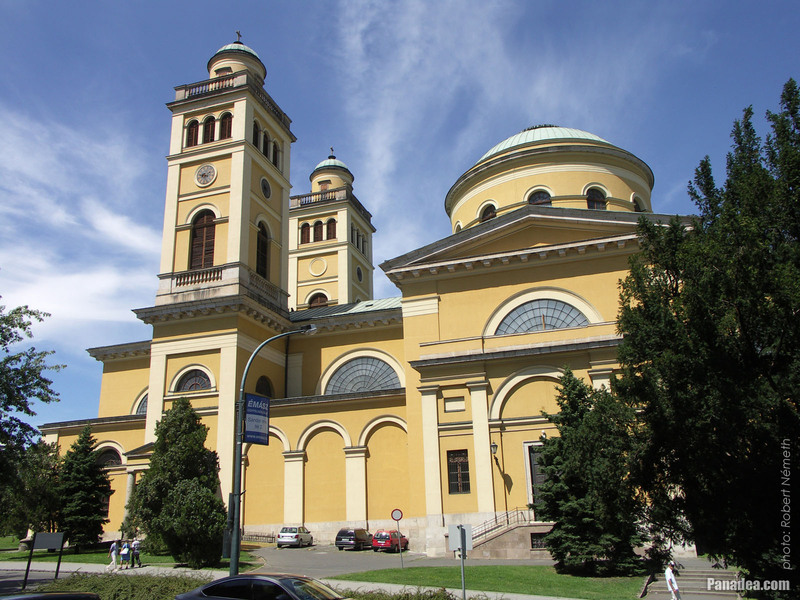 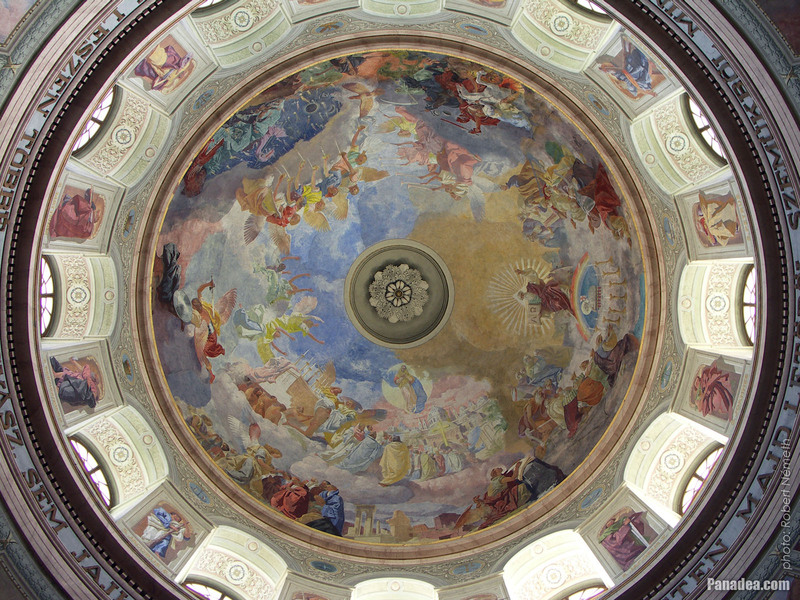 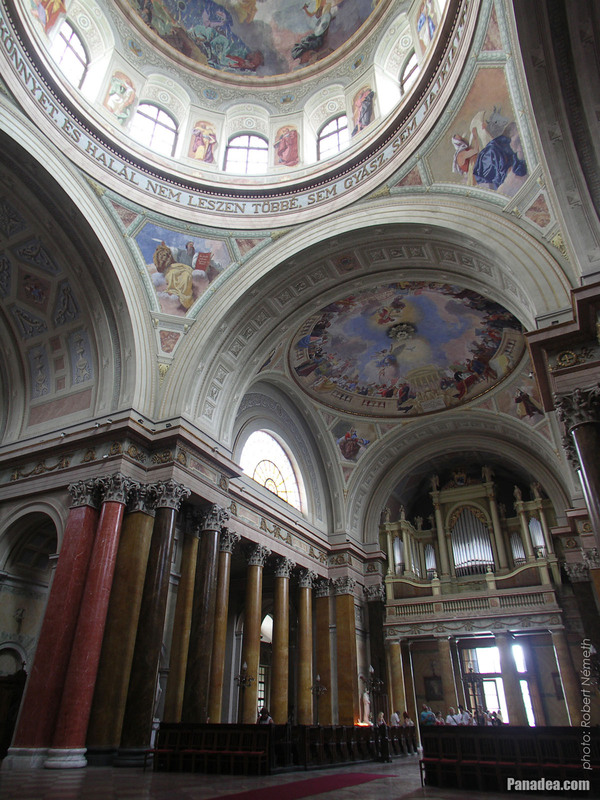 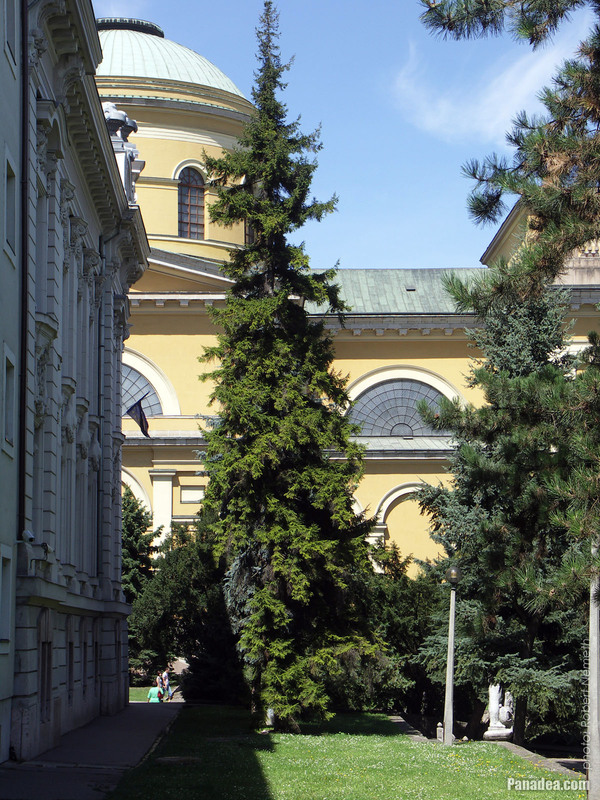 Considering the floor space and the volume of the building, the Eger Basilica is the second largest temple in Hungary, despite the fact that it is "just" 55 meters tall. 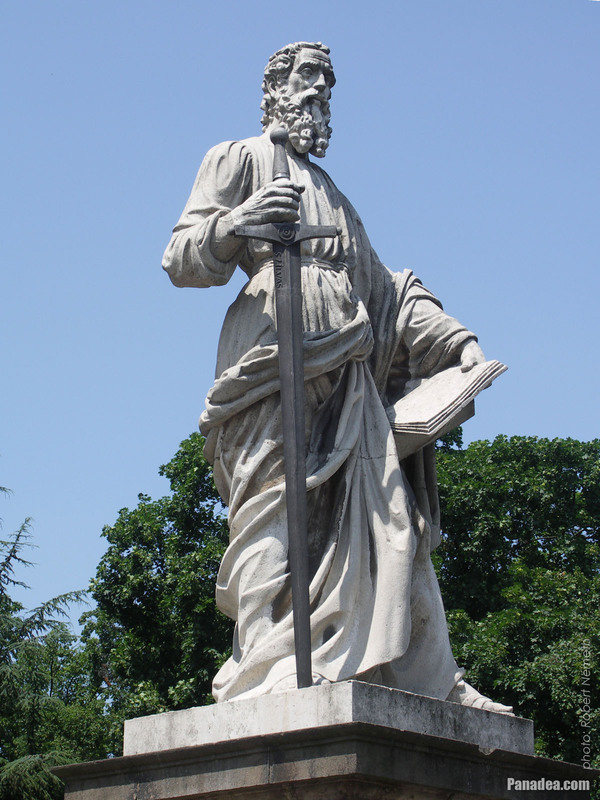 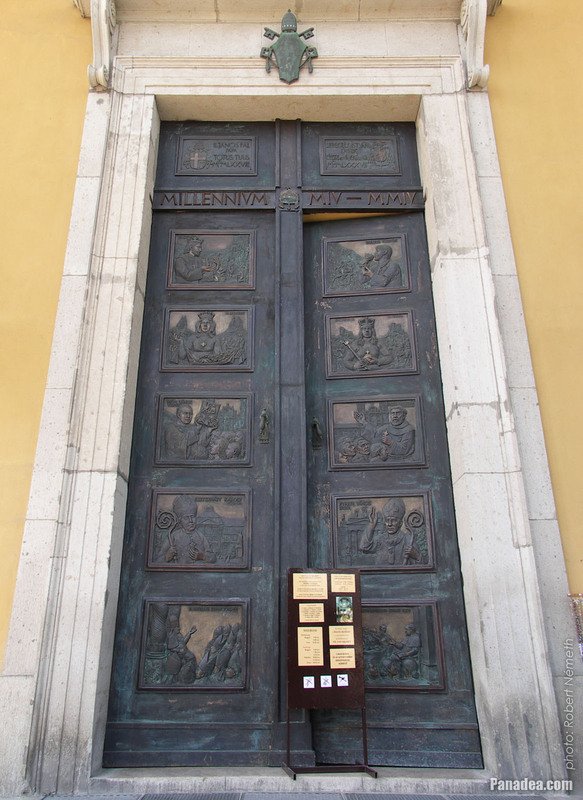 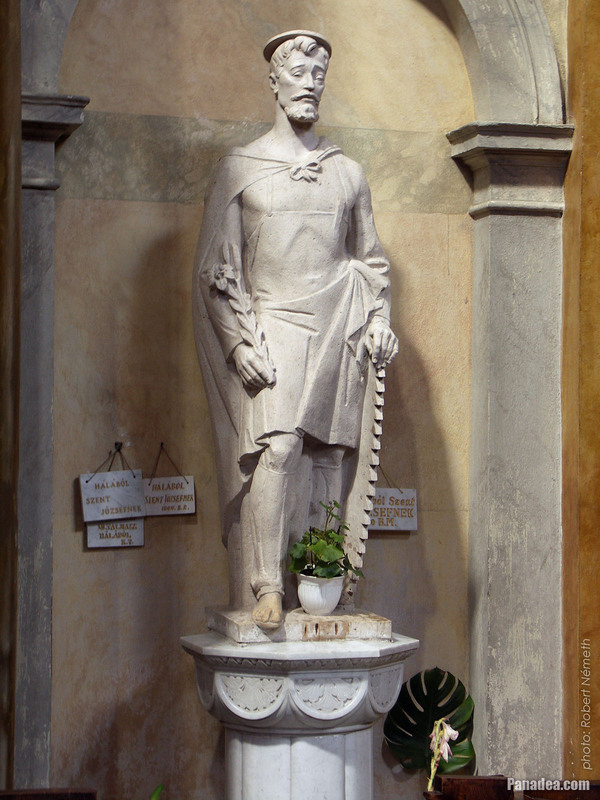 The large statue of Apostle Paul in front of the Eger Basilica was carved of stone by the Italian sculptor Marco Casagrande in 1836, but the sword of the figure was made of iron, which was created by the ironworks of Szilvásvárad. 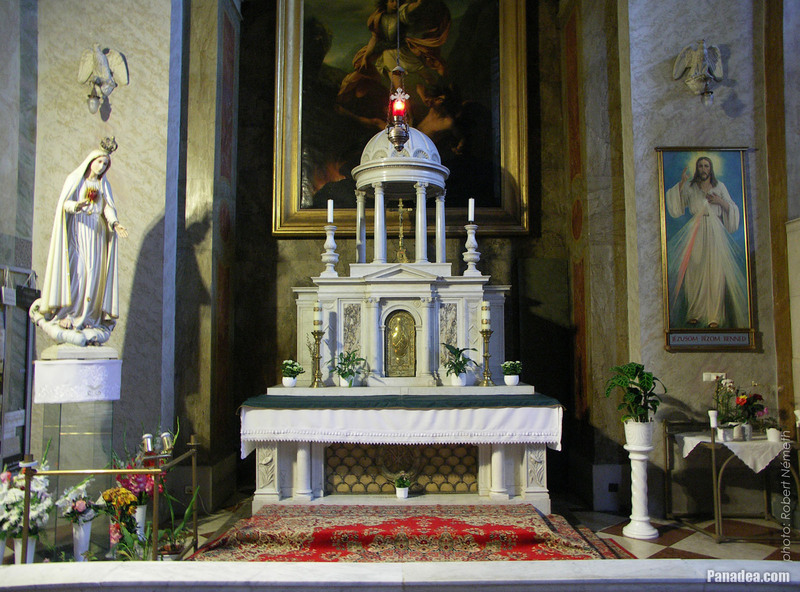 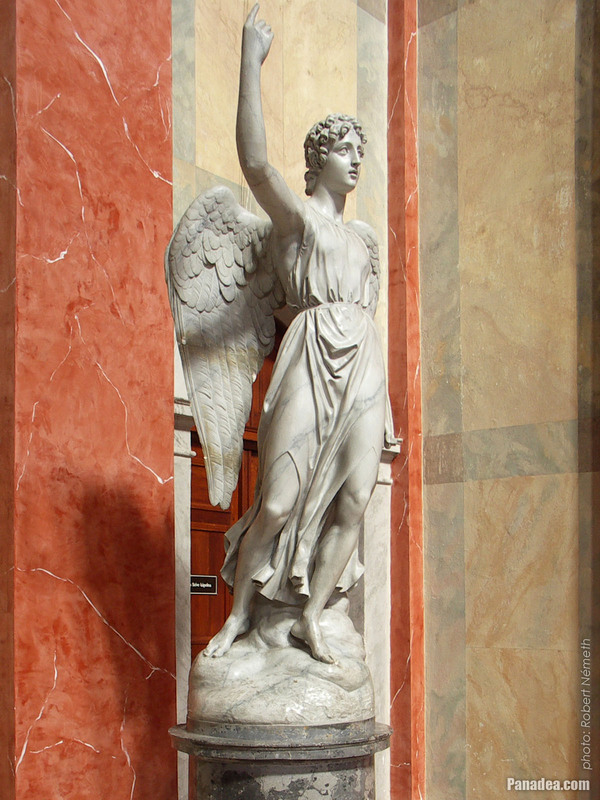 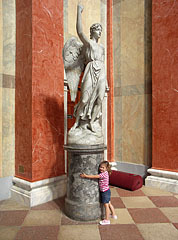 The pair of the stone statue is standing on the other side of the stairway and represents Aposle Peter, both were created at the same time.